Just finished this one this morning to decorate my room. It’s been.. i guess 2 years since i painted for the last time, and this time i had more colors and the proper paint for that, but even so… I expected more from this painting. I am not so satisfied…. I heard my mother tells me that she had liked, that it was a good one, but well… she is my mother. She gave me some tips to do better next time, but she really said that she loved and that it looked good. I started painting right away, drew what i had to draw and started painting, maybe this is where things didn’t go exactly as i wanted, for i didn’t check any video to get some more tips. 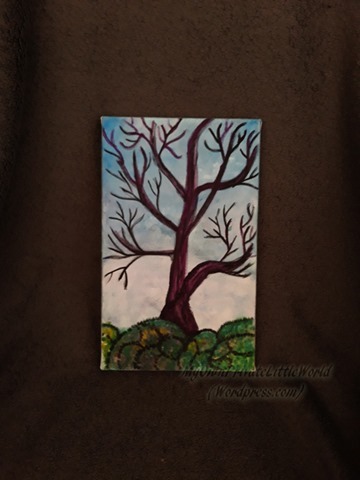 i just went painting. 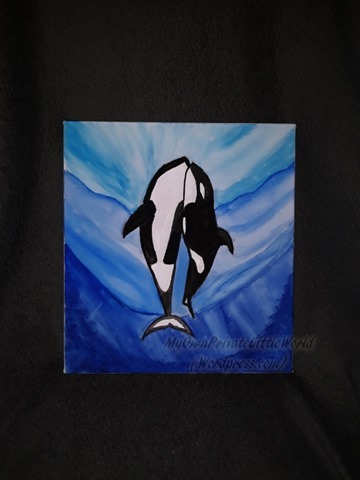 I guess i was expecting to paint a masterpiece, i am impatient sometimes…. but that’s a good beginning at least i think so. 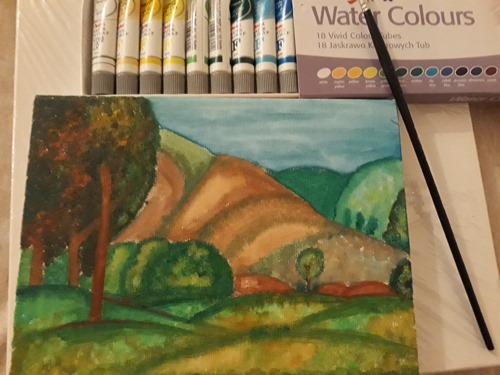 I have 2 more canvas, so, will think more about what i am going to paint next time and also check some tips about working on trees and mountains, specially with the paints that i bought. Like I said…. That’s my favorite flower. It is so beautiful. The original flower’s color isn’t this intense, mine ended up being due to levels and filter I’ve applied. One of my favorite actresses from the Old Hollywood. I really can’t describe how much I adore Jean Harlow… I really can’t. 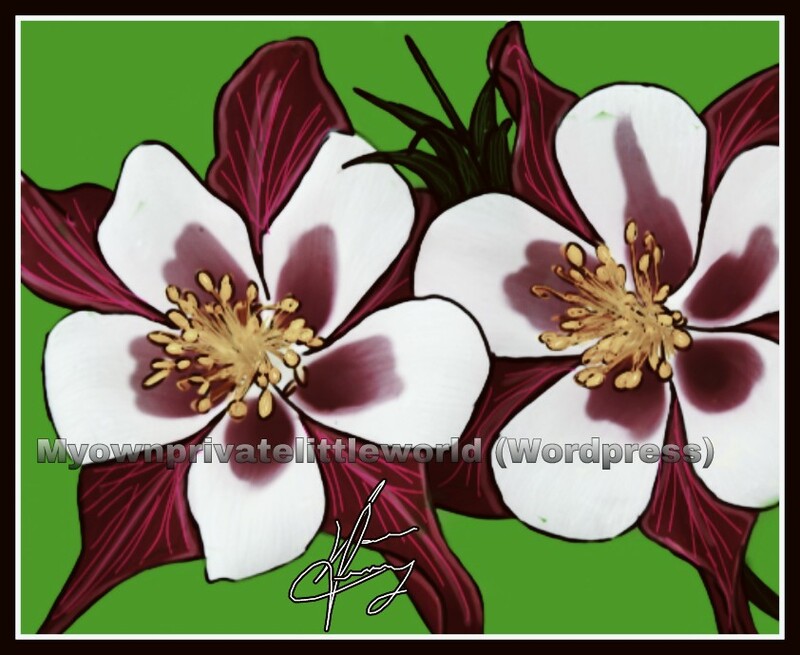 These two flowers I drew today, and both are Columbines. I am so fascinated with these flowers that I don’t feel like I have inspiration to draw any other flower, but I need keep trying other type of flowers and things, but my inspiration today pointed, once again, towards this flower. This time, I decided post part of the progress of my drawings. 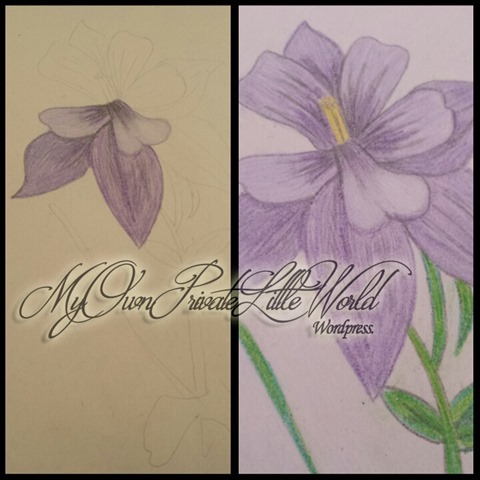 The last one (The purple), I enjoyed more because I could try different shades and make it look a little bit more realistic than the first flower (real colors of the flower). I love everything related to Art, I always did, since I was a child, and lately I’ve been dedicating more time on my drawings and paintings as well. Mostly, I’d draw on the paper, and paint on the photoshop because I’m not that good on painting, I always tried to do my best, but I never achieved the result that I’d see on those Youtube tutorials about how drawing and painting with normal colored pencils, so I used the photoshop instead. But the fact is that, a couple weeks ago, I decided to start practicing more on coloring on the paper, even if it would not go the way I expected it to, after all,nobody can achieve a certain level without training and dealing with some frustrations. These are 2 drawings that, I personally loved! when I finished coloring them, I thought that maybe my “place”, would be drawing flowers, once it was easier for me to color them. I know they don’t look 100% like i expected them too, like an actual photograph, but I felt so satisfied with how it turned out, that I not only decided to keep them forever, but also share. I am an amateur on this, I had some courses when I was at elementary school, and that was it, so I am not good on drawing people, like, giving that realistic look, as well as flowers and etc, but art is something that comes from you, and there is someone who will always identify with your type of art and interpretation as well, even if it doesn’t look 100%. This is the second drawing that I’ve made (I want to leave my favorite one as last). 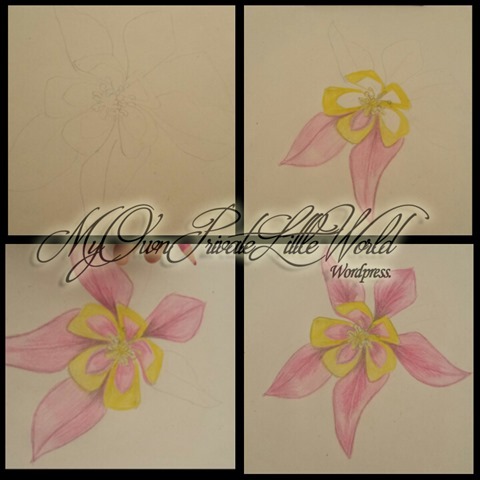 The actual photograph is of a rose that’s white with some pink parks, I ended up making this rose yellow with some pink parts and also added some white. 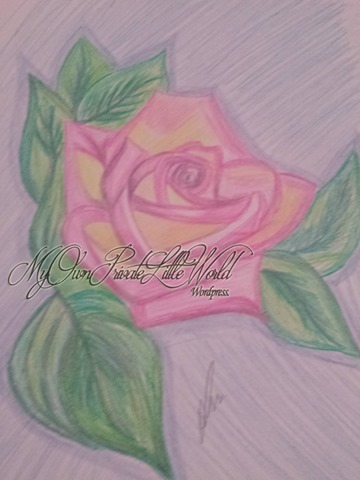 That was the first time I colored a rose on the paper, and I really liked the final result. As you can see, I’m not still that good on the coloring, but practice makes it perfect. 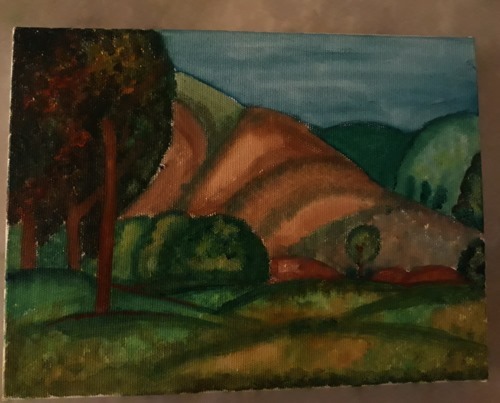 My mother liked so much that she said I should actually paint this on a canvas. This one is my favorite one ever, not only for the final result of the drawing, but also because that’s my favorite flower ever: The Columbine. I really, really, really, loved the final result of this art because I got to create that depth effect without even waiting for such thing, so I really felt amazed by this particular drawing. This drawing inspired me on trying to draw that rose and color it as well, but for me, that’s my favorite one, the one that turned out to be the way I expected it. 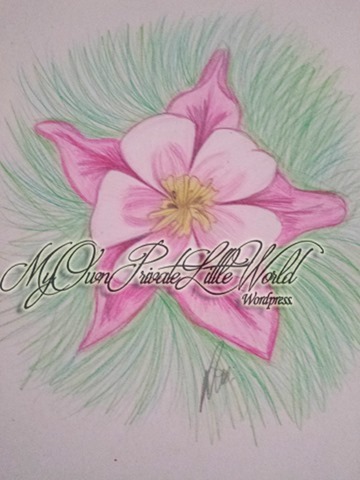 The Columbine comes in many colors, it’s really a such beautiful flower, and even though pink isn’t my favorite color, I painted this one pink because I wanted to start with something angelical, something that would be easier and as a test as well. Probably my next drawing will be another Columbine, and I shall pass it to the Canvas as well, because I want this hanging on my wall, like I have few arts of mine.